Oh Hey There! : A/W Lush Haul! 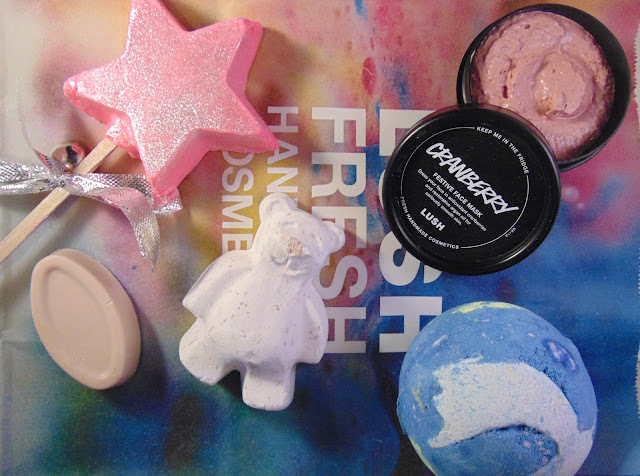 Left to Right: Cranberry Festive Face Mask, Magic Wand Bubble Bar, Butterbean Bath Bomb, Full of Grace Serum Bar, Shoot for the Stars Bath Bomb. After starting back at Uni a few weeks ago I have been a little on edge and after having a particularly stressful week, I decided to pop in Lush. Sometimes this is a bit dangerous for me, spending wise, but I feel like I made some good purchases and kept myself in check this time! I just grabbed a few things to make me feel a bit more relaxed and a couple of things I have had my eye on for a while, skincare wise! The new A/W/Christmas is also out, so how could I resist? 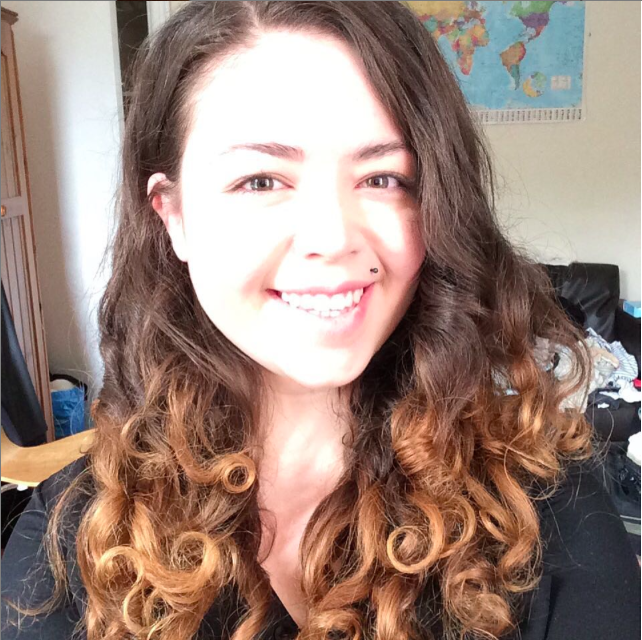 My skin has been appalling recently, going from oily to dry at the drop of a hat. So I decided to try one of the new face masks. I decided to go for the Cranberry Festive Face Mask as it smelt great (which is often a bit of a problem with Lush face masks) and it has done an amazing job at calming my skin down! It says it aims to nourish skin, whilst also mattifying and I really agree it did. Its feels like its just re-set my skin and taken away all the build up that just didn't feel like it was shifting but was still gentle and moisturising. I so badly wish this wasn't just a festive release!! Lush Haul: Magic Wand Bubble Bar, Cranberry Face Mask, Shoot for the Stars Bath Bomb, Butterbear Bath Melt, Full of Grace Facial Serum. I also picked up the Butterbear Bath Bomb, which I have been wanting to try out for so long! I was meant to have used it by now, but I've hyped it up in my head so much, that I keep wanting to save it! I have it sat next to me as I write and it smells amazing. 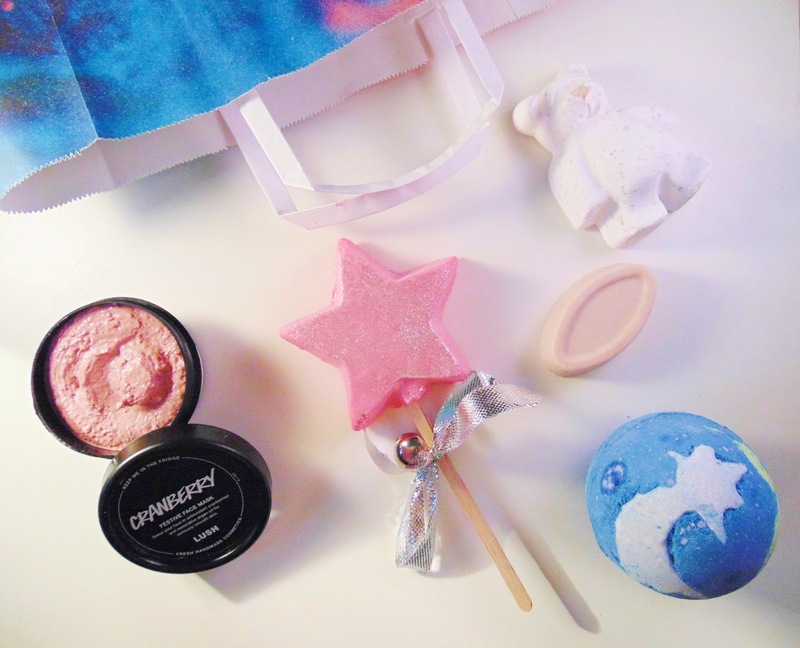 I have been doing exactly the same with the Magic Wand Bubble Bar, I've read so many rave reviews about them both and cannot wait to finally try them as I feel like everyone else has! The last product I chose was the Shoot for the Stars Bath Bomb. It's a really lovely, nighttime product and it smells really soothing and relaxing. It comes out in the bath as varying shades of blues, pinks and purples to simulate the sky and then a little yellow spot which makes it look like a shooting star. I am always so impressed when lush have these little concepts behind their bath bombs and I usually don't end up getting in the bath until its cold because I want to watch the entire thing! Have you tried any of the Lush A/W/Christmas releases?